BRIEF CRITERIA: Roxanne and Kieran requested guidance with their theme and styling as weren’t sure which route to take. After a consultation they decided that a champagne ‘theme’ would suit their newly appointed ‘Champagne Saturdays’ they had at home since having their 2 little boys. 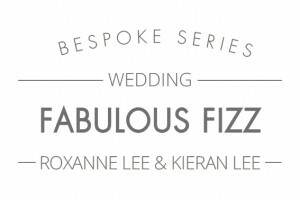 THE RESULT: ‘Fabulous Fizz’ was created with champagne in mind but designed in a way so that it didn’t overpower the design. 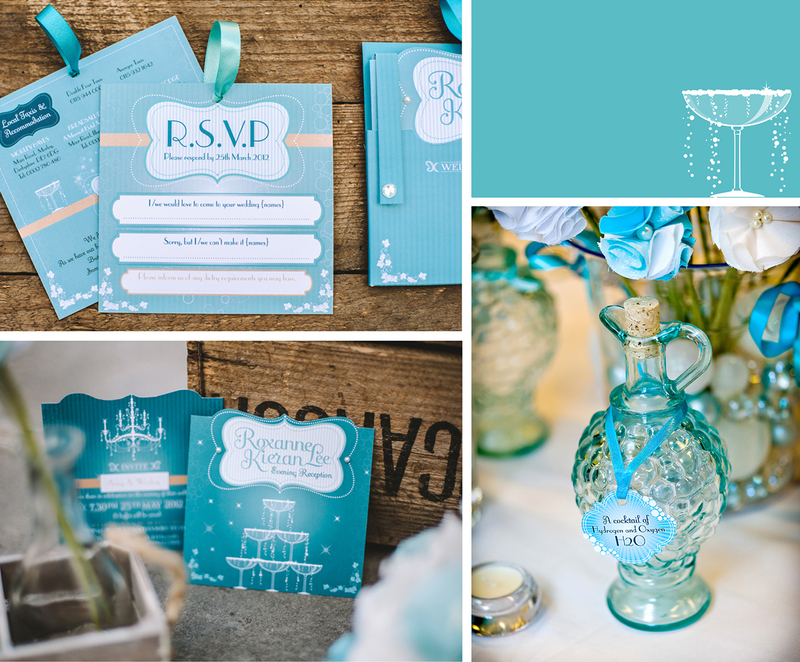 Small vintage style champagne glasses were illustrated and lots of subtle bubbles and sparkle featured across the suite. 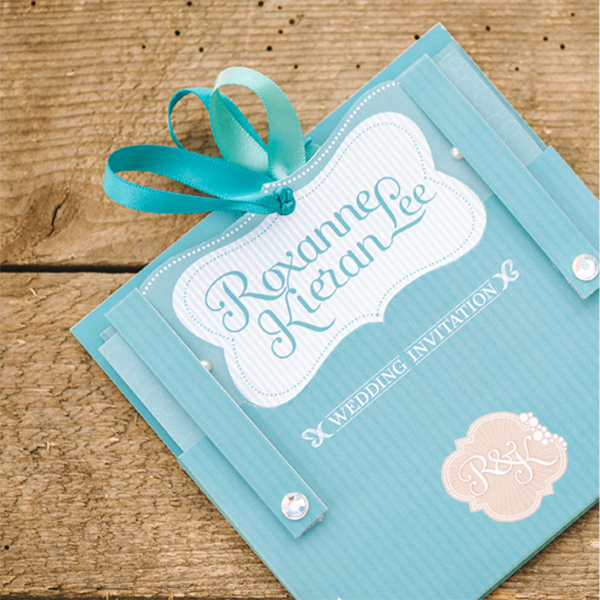 Roxanne and Kieran also share the same middle name ‘Lee’ and so their names and middle name were cleverly designed as their wedding ‘logo’ and used as a design header across the items. The overall product was lovingly hand-crafted from a whole variety of materials and techniques. 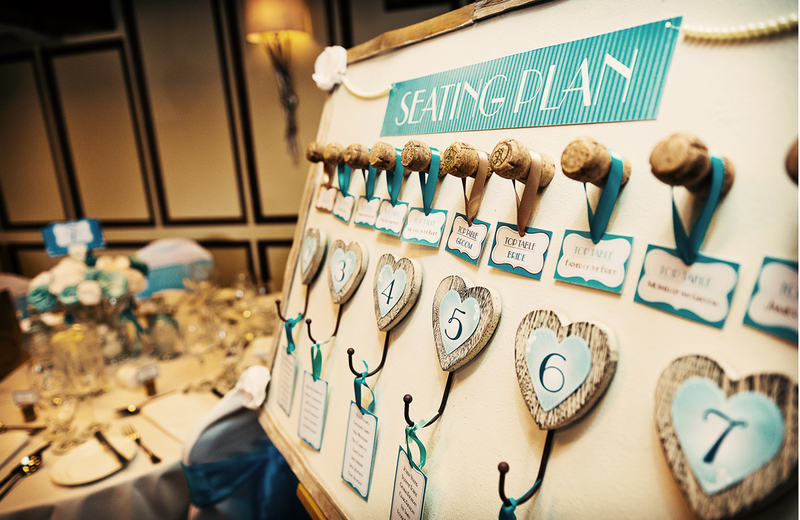 The square-cut Save the Dates was embellished with pearls to reflect ‘bubbles’. 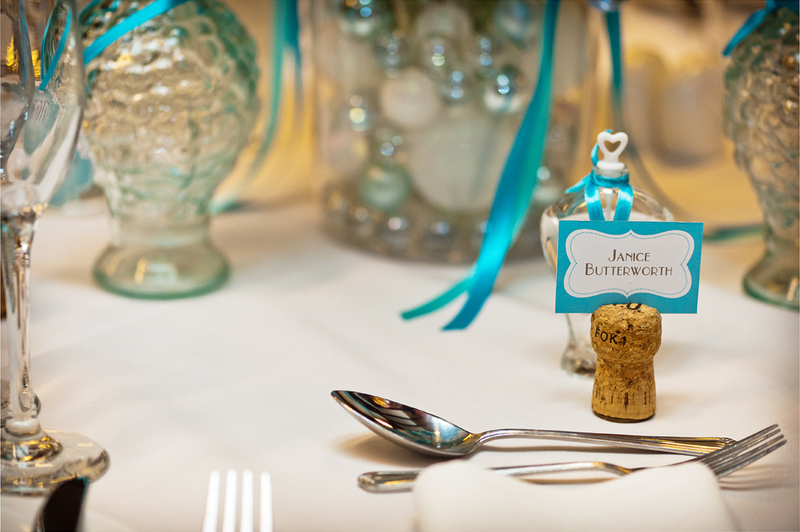 The vintage style champagne glass, grapevines and bubbles gave their guests an exciting glimmer of what was to come. 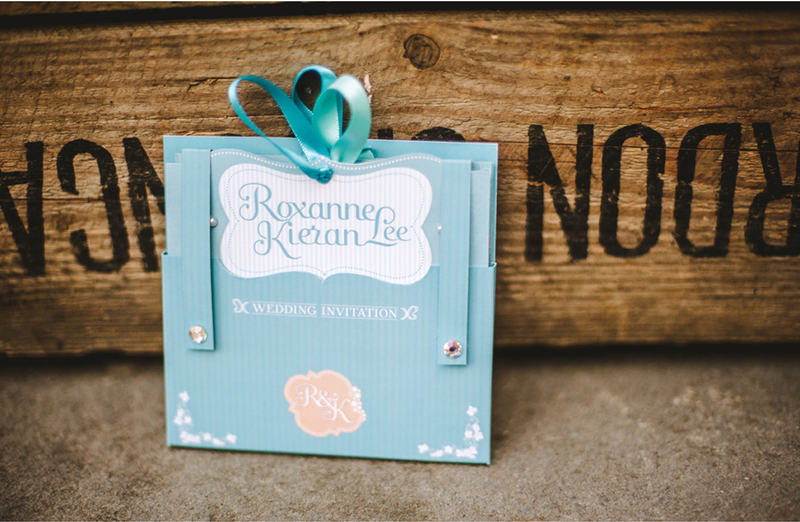 The invites were then designed with an outer hand-crafted pocket featuring embellished ‘braces’ to hold the 3 inserts in place. 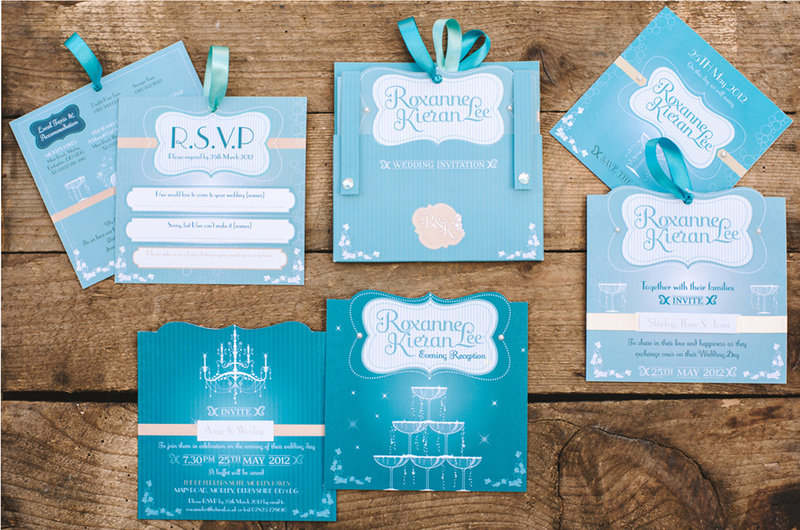 The die-cut main wedding invite was shaped to represent a champagne label which came threaded with ribbon for decoration or for guests to hang somewhere as a reminder. Also in the pack came the RSVP, bespoke illustrated map and details of the day. As a distinction between the two, evening invites came in a darker shade to represent the night-time and the champagne glass (now a tower of glasses with flowing bubbles and sparkles) became the front feature, with a chandelier used on the reverse.